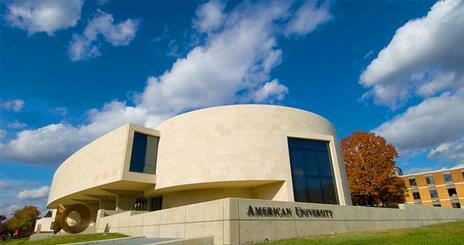 My husband, Fred, was a professor at American University for the school term of 2008-2009. He was so proud to get his dream job. He had gone to school for many years to achieve a Doctorate of Film Studies. He then was an adjunct at three different colleges for a few years. Finally, in the summer of 2008 he got the call. American University would hire him to work in a one year appointed position split between the Department of the Performing Arts and the Department of Literature. We were so happy. The fall semester went well, then spring came and Fred was in so much pain. He had trouble walking to class and sitting through his office hours. He had to grade his paper’s laying down, as his back hurt so much. I would ask him if I could help in anyway and he would say no. By late March the pain was so bad, we went to the hospital for additional tests. On March 27th 2010 Fred was told he had tumors throughout his abdomen. He would need to hand off his classes to another teacher. I offered to help put his class papers in order. This time he said yes. In the next two days I learned from Fred the hallmarks of a great teacher. I learned that life is defined by the work that we do and it is important to show up and do a good job. The first task Fred assigned me was to clean out his desk in the office he shared with another professor. When Fred was first hired they told him they had commanded a department head in the Performing Arts Department that she would share her office with him. Fred was aghast that he would be invading her personal space. He was always gracious to her and kept his time in the office to just during required office hours. He tried not to clutter up her space with any of his personal things. He placed no pictures on his desk. I went over to American on a quiet Saturday. No one was in the building. I let myself in the door to his office. I had brought two bags with me. It did not take long to fill them with all the papers and attendance sheets for his performing arts classes. I closed the drawers and looked at his empty desk and cried. I did not have to clean out his desk in the Literature Department. They had no office space for him. He had used the department lounge for his office hours. He had had wonderful conversations with students there and other faculty members, but there was no space to break down. There was only the memory of him sitting there and laughing and talking about film. I completed the first task with a sense of longing and remorse; my eyes scanned the halls and said goodbye. Fred assigned a second task; I was to gather up all the papers and emails from home. This was a far more complex task. Fred’s desk was a pile of papers. It was his tiny kingdom in our very small apartment. I was not supposed to touch his papers or straighten them. His filing system may have looked a mess but he had it organized in his own way. The time had come to violate his space and shut down his home office. I shuffled all of these piles of papers together and placed them in new bags. He also had messenger bags of papers separated by class and department under the desk. I gathered them up. I called him at the hospital and asked him, “Is there were anything else? “ “Yes,” he said. “You need to log on to my email and print out any late papers submitted through Blackboard.” I also printed out any emails explaining past absences. While searching for these missives, I read an email from a past student asking for a letter of recommendation. I called Fred again. He had already written the letter and told me how to find the file to print it out. I placed all of these copies in the bags of office detritus. I gathered the remnants of a life’s work and rolled them out of our living room in my shopping pushcart. I had completed task two; and left behind me a gaping wound masquerading as a clean desk in our living room. Fred and I worked for hours on the last task of preparing all his papers and attendance in order to hand over his class to two other teachers. I stood beside him using the hospital tray as a desk. He would call out names from attendance sheets and I would make the tally mark. He told me after six absences the student’s grade would be affected. As I watched the tally marks grow, I began to root for certain students. I kept hoping I would not hear their name again. Time wore on and certain names had seven or eight absences marked. I became mad at those students. How dare they skip class? Why did they miss this opportunity to learn from this great teacher? He was slowly dying of cancer and he had come to class. What excuse could they have for seven absences? Finally we finished the tally. It was time to grade the late papers. Fred graded slowly and deliberately. When he got to the last paper, he turned his face to me. He said, “Reg, this is too well written for this student. Please take it to one of the hospital computers and type a line into Google.” I took the paper down the hall. I typed the first line into the Google search field. The hospital’s ethical mission statement barred me from the original site of the paper, but I could see it was a plagiarized paper. I went back and told Fred. He marked that fact on the paper and we placed it in the neat pile of papers that represented lives. We had finished the job of a teacher. The piles of work awaited the new instructor. We sat in the twilight holding hands and proud of our accomplishment. Fred lived for 11 more weeks, but his life’s work ended that day. This was the last day he did his job, and he did a great job. He was proud and sad. He loved his students and missed them. I looked over at him with great love and respect. He had come to class even as he was dying. He agonized over his student’s attendance and tried to show them how to do their best. He showed us all in his final days how important it is to do your work and remember: do not get marked absent in the class of life. "The Death of the Paper Transfer"
I have spent the last few days trying to collect my thoughts on patient access to the electronic medical record. 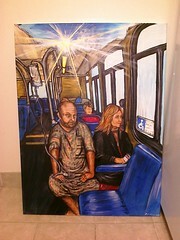 My pondering led to a new painting and the following poem. I hope both "speak" to you. And past abuses do impress upon this fight. Spin in circles in the shadows of my mind. I go to sleep at night and think of coding. Is our savior high within the data cloud? Is access to our care, as great as knowledge? Where shall peacefulness be found? Does freedom lie within a soup of letters? Open doors to our gaining knowledge? Is ARRA an acronym, or is it a primal roar? That we are all Patients in the End. Between me and the Word. Is 1135 a page in the Annals of Oncology about Kidney Cancer? And the wheals they are returning…. Round and round, And Rosa parked. She refused to give up her seat at the table. ICD-10, Do you intend, to save me from my coding? Do you entreat, that we retreat? To sit idly by awaiting your instructions? A better and healthier tomorrow. This past week a lot of people were standing up for healthcare reform. There were marchers in the streets of Washington, DC trying to get equal access to insurance. There were congressional hearings on the subject, and 24 healthcare survivors spoke of their healthcare tragedies. One of those wonderful people was Marcelas. He is 11 years old. His mother, Tifanny Owens, died due to lack of access to continuous care for her medical condition. Wednesday, March 10th was his birthday. Instead of celebrating this wonderful event at his home, he spent the day explaining why his mother died because of her lack of insurance coverage. He is a bright and articulate boy who spoke with great poise. He stood tall and explained to audiences that his mother would be still be alive today if she had coverage. Now he has been attacked by columnist Michelle Malkin in the DC Examiner and by Rush Limbaugh on the radio for his attempt to speak out against injustice. Ms. Malkin asserts that Marcelas is a "kiddie shield" for the Democrat's health care initiative. Mr. Limbaugh accuses Marcelas's grandmother of exploiting this family tragedy to further the interests of her employer, the Service Employees International Union. Mr. Limbaugh and Ms. Malkin are making the statement that young Marcelas is unable to understand and act for himself. I say they are wrong. I remember being 11 and 10 and 9 years old, and I remember injustice. I remember what it feels like to be a child in an uninsured family. I remember watching Little House on the Prairie. It was the episode where Mary needs to get glasses and is squinting at the chalkboard and pulling at her eyes. I turned to my mother and told her that was exactly what I was doing. I begged her to get my eyes checked. As an uninsured family we had no yearly check-ups to determine if our eyesight was failing. We couldn't get the appointment until our tax refund came later that year . I went, and it was determined that I did indeed need glasses. I was also well aware that when you got sick, you just suffered. I vividly remember ear infections and tonsil infections that were suffered through. I remember my mother rubbing my neck and chest with Vic's Vapor Rub in an attempt to deal with my chest colds. I even remember her dosing me with "green drops," an old cure from her childhood. I mean literally from her childhood. The bottle was from the 1930's, and I was sick in 1980. As it was still liquid and green, I must assume it was very high in its alcohol content. She poured it in my ears and gave me a spoonful with sugar by mouth, as the bottle advertised many ways of administering the treatment. It did me no harm, but I am not sure it helped me. Perhaps it helped my mother. She must have been so worried and knew she could not afford the doctor's bill. Lack of insurance affects children in other ways. I remember the day I came home from school and asked to be on the soccer team. I was told no. The family could not afford the injuries sports would entail. Even PE class or recess was problematic, as eventually you would be injured. I broke two pairs of glasses, broke my fingers, and badly sprained my wrist at school, only to be berated for hours by an abusive father. "Don't you know how much this will cost us? ", he screamed. And speaking of abuse, who recognizes the signs of abuse better than a doctor or a nurse? If I could have been seen regularly by a doctor, would they have seen the welts and bruising on my legs and arms and put two and two together? Would they have quietly asked the right questions that could have released me from years of torment? But alas, as an uninsured child this opportunity was denied me. Who addresses the psychological torture of lack of appropriate treatment? I used try to sleep while worrying about broken fingers. Would they always be crooked? Would the other children make fun of me? I remember the day in sixth grade I badly sprained my ankle. I could barely walk. My mother wrapped my ankle in an Ace bandage, and my grandpa loaned me his geriatric walker so I could go to school. I begged my mom for crutches instead. "I am sorry", she said, "we cannot afford it." My face burned with shame as I hobbled down the hall with a walker too big for me to use. As the snickers echoed down the hall, I wanted to die. Why did life have to be this hard? So that is the child I was, and that is how I felt about lack of access to care. If you had asked me then to speak out about a need for reform, I hope I would have been brave enough to act like Marcelas. I hope I could have spoken as clearly about the need for reform. I would like to inform those folks out there that don't believe a child can have their own opinion on heath reform: Yes, they can. Perhaps, if I could have spoken to members of Congress in 1983 when I was 11, Fred would be alive. Tifanny Owens would be alive. I thank you, Marcelas. You are brave and wonderful. Your mother would be proud. "A leader needs the guts to stand alone and look ridiculous. But what he's doing is so simple, it's almost instructional. This is key. You must be easy to follow! And ladies and gentlemen that is how a movement is made!" So my friends, I maybe the lone nut that thought this would be a great way to show support for patients' rights and healthcare for all; but you are far more important in the role of first followers. I know it is hard to stand up in front of complete strangers in a public park and potentially make a fool of yourself. But will it be any easier to stand up for yourself in a hospital when you disagree with diagnosis or treatment? Americans fear public performance more than death itself. I took speech and debate for many years. I vividly remember the new students saying they "would rather die than be on stage." Would they really rather die? Because that is what we are talking about. There are people dying every day in this country because of lack of preventive care, lack of access to insurance and lack of access to information about treatment options for their disease. We can do something to change this. 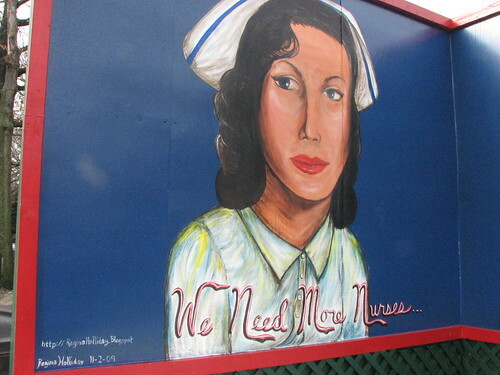 We can march, dance, sing, protest and paint about what is currently happening to patients all over America. I ask you to be part of a movement. I ask you to show support for human rights and for patients' rights. Please come to Dupont Circle, Washington DC at 10:15 am on Tuesday, March 9th 2010 and join us in a Flashmob for healthcare reform. If you cannot dance, come anyway and show support in being one of those watching the performers, or holding the cameras, or holding the loudspeakers.... Participate in whatever way makes you happy, but please show up. In the past year, I spent a lot of time in hospital waiting rooms. My husband was diagnosed with kidney cancer in March of 2009 and was hospitalized at two very different facilities for several weeks. The 6th floor oncology waiting room at Holy Cross Hospital in Silver Spring, Maryland was a depressing, dark and lonely place. In direct contrast, the 6th floor oncology waiting room at Suburban Hospital in Bethesda, Maryland was uplifting, brightly lit and a place to support others in their sorrow. I was amazed how two hospitals in the same state, on the same floor level and dealing with the same disease, could be so very different. Every aspect of the Holy Cross oncology waiting room combined to create an atmosphere of despair and fatalism. The sights, sounds and smells of the Holy Cross waiting room do nothing to alleviate sorrow. Dust motes fall aimlessly. The overhead light is turned off and the visitors wait in darkness. The waiting room is adjacent to a busy hallway with an elevator. Bells and buzzers can be hears from the hall, each chirping a warning before the nurse presses the silence button. Mixed with the clamor of bells and buzzers is the odor of ammonia and incontinence. The housekeepers wage war upon this embarrassing odor with an arsenal of antiseptic sprays and bleach. The toxic specks of sprayed cleaners dance with the dust motes in the air, creating a nauseating cloud. In Suburban’s waiting room, the light is on. The room is tucked away in a quiet peaceful corner. This room is serene and smells of flowers and fresh chocolate chip cookies. In Suburban all of these element uplift the waiting guest. In Holy Cross these sights, sounds and smells add to the feeling of sickness and despair. The Holy cross waiting room is devoid of any form of entertainment or distraction from grief. There is no remote for the forlorn TV that rests upon a low shelf. It is stuck displaying the endless hell of CSPAN. The button that changes the channel is gone, leaving a gaping hole in the base of the set. The TV can be louder or quieter, but it cannot change. It can only be turned off. The reading material at Holy Cross consists of a few glossy corporate magazines brought to you by pharmaceutical companies. In these periodicals, breast cancer patients get 25 pages devoted to their disease; kidney cancer gets a paragraph. In the Suburban waiting room, everything is vastly different. The TV, with intact channel buttons, is mounted within easy reach. The remote is set upon a table bedecked with flowers. 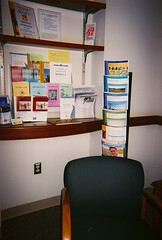 An organized display shelf of educational pamphlets written by the National Cancer Institute rests beside the door. Within this display, there is a book devoted entirely to Kidney cancer. Beside the pamphlets, another rack is filled with inspirational tracts with names such as “You have the Right to Be Hopeful” and “A Time to Live.” All these elements create a feeling of hope and choice within the Suburban room. In the Holy Cross waiting room these same elements contribute to a feeling of despair and imprisonment. The people that fill the Holy Cross waiting room add to the feelings of isolation and sorrow. An elderly nun sits in the corner dressed in a volunteer’s smock. Snoring gently, she has slumped back with her mouth open. An errant line of spittle breezes back and forth between her lips. The businessman with the newspaper gives up his pretense of reading and leans back. He places the newspaper across his face like a shroud. An older lady whispers into her cell phone. Occasionally her voice breaks and becomes audible. A staff person trudges into the room and sits alone at the long table. She pulls food containers out of a disposable bag. Staring into space, she begins shoveling the food into her mouth. The people here are separate and alone. No one is making eye contact. In contrast, at Suburban the staff and visitors often gather and chat. Every Wednesday afternoon there is a Tea at two o’clock. Patients, visitors and support staff congregate as fresh chocolate chip cookies are passed around. This room is filled with smiles and laughter; the burden of grief is lessened by the sharing support of others. In Holy Cross, the isolation of visitors and lack of communication with staff increases the level of sadness in the room. The Holy Cross waiting room exists to provide a space to give up fragile hope and choice. It is amazing that two hospital waiting rooms could be so very different. One hospital tries to heal and comfort with a space designed for support and hope. The other uses that same space to create additional sorrow. The oncology waiting room at Holy Cross is a place where plans and life paths are destroyed and every element combines to create a despairing world of erasure. 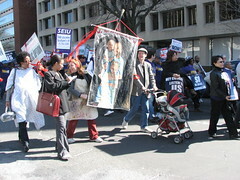 Next week on Tuesday, March 9th, 2010 we will have a large March in Washington DC supporting Healthcare Reform. Many organizations and individuals that are rallying for the Healthcare Reform Bill will be congregating at Dupont Circle at 10:30am and begin marching at 11:20am toward The Ritz Carlton on 22nd Street. The America's Health insurance Plans (AHIP), is holding a conference there. Don’t you see there’s no time, he’s losing the life in his eyes. Don’t you see, my loved ones lying, their dying. Close your eyes and imagine your best friend, the one you love. Waiting for this and that to pass, before help comes. Seeing them lying there, no help no care. Hey you, hey you. Wake up. You see my loved ones dying, not smiling. It’s been so long, since the two of use meet, yeah. Take my home, take my car, take everything. Just please help my love. Take my heart take my home, take everything…. Written for Regina Holiday. Mural master. 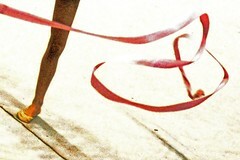 So we dance and sway to this music as 10 "patient" dancers move around the crowd with gymnastic ribbons. They will be red ribbons that spin around the patients. The ribbons will have ICD-9 codes written on them: the billing codes that insurers use. These ribbons will represent the red tape that denies us care. The ribbons can also represent the freedom we wish to have. Note the ribbons snap and spin. We are not tightly bound. We are being released. We are free to receive help, we are free to claim access to care and access to our medical records. 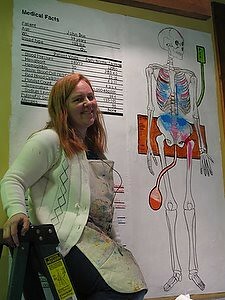 This is art and medical advocacy combined. This is the power of a visual image. I hope you can join us.